This list of subscribers comes from the Report of the Committee of Management of the Dorset County Hospital for the year 1901 (produced January 1902), held by the Dorset History Centre (reference NG/HH/DO(C)/2/1/1). There are 346 entries. Subscriptions raised £796 10s. 0d. The hospital’s total receipts amounted to £2,165 2s. 4., and the expenditure to £2,284 4s. 4d. Receipts were £81 5s. 2d. less than the previous year and the hospital ended 1901 with a debt of £135 18s. 3d. Captain John Acland, the chairman of the management committee, noted: “Both Subscriptions and Collections show a serious decrease, and have now fallen to a lower figure than any recorded for many years”. 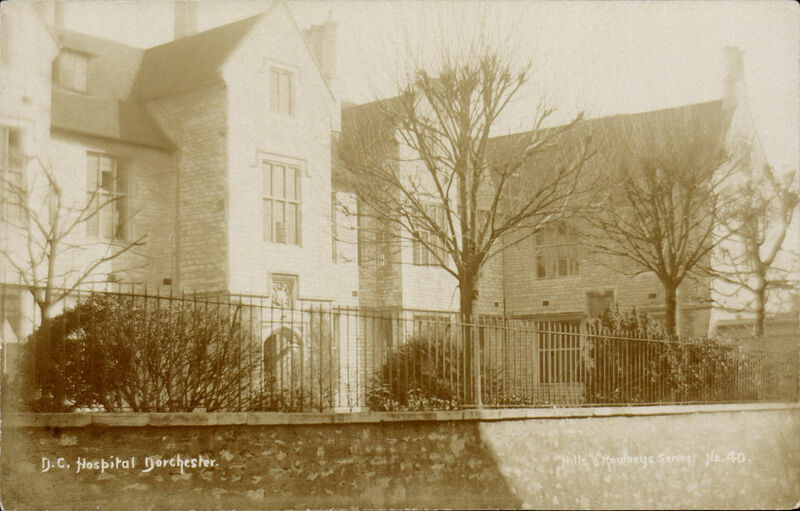 The photograph shows the hospital in 1908.